Flores is a Portuguese name which means "flower", and it ideally describes the beauty that can be found here. Flores is located between Sumbawa & Komodo Island at east, and west of Lembata & the Alor Archipelago; to the southeast is Timor, to the North is Sumba, across the Sumba strait and beyond the Florest Sea is Sulawesi. 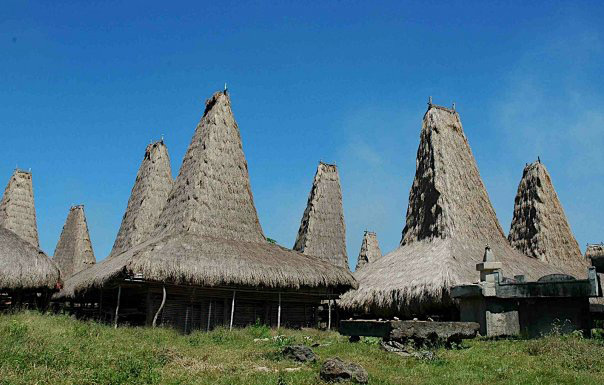 In Flores, the inhabitant speaks in many languages; one of them is belong to Austronesian family. Within this area, there are slight linguistic differences in almost every area of the village. Just like almost most of the people in East Nusa Tenggara, the people in Flores are also almost entirely Roman Catholics. This long island between Sumbawa and Timor is crowded with volcanoes and mountains, dividing it into several regions with distinct languages and traditions. The popular destination for Mountain is in Kelimutu, a volcano that containing three colored lakes. Kelimutu is located in the district of Ende close to the town of Moni. For those who love seashore can do snorkeling and diving spots along the North Coast of Flores, which is Maumere and Riung. Moreover, Labuan Bajo is also famous for scuba diving, whale sharks cultivation and as the entrance gate before visiting Komodo Island and Rinca.